Do I Really Need IT Services?Companies of every size, large and small alike, ask themselves this question often. It can be hard to know if you’re doing enough, or if you might benefit from additional IT solutions. We’d like to take the guesswork out of IT services. Here at VaxStream, we’re now offering incredible Info Tech service at impressive rates, and equally impressive quality of service. What can I.T. do for me? IT is a broad subject, and we cover many aspects of it. We offer a variety of services that bring the same level of knowledge, professionalism, and quality that you’d expect from a VaxStream service. Our customer service is legendary, and this extends to IT. We’ve kept up with the latest technologies, followed every new trend in service, and our hard work can pay off for you in big ways. Let us help make IT easy. Quality IT service can be difficult to find in today’s world. That’s why we’ve tried to make a great option available to your company at incredibly affordable pricings. 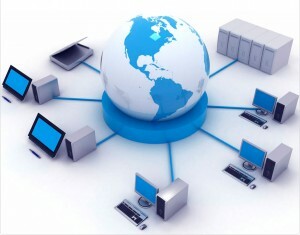 We aim to make managing everything, from servers to desktops, from databases to programs, easy and worry-free. This is the quality we promise to all customers, and we’re here to back it up. If you’re unsure as to what help you need, or if you could benefit from our services, send us a message. We’d love to help you get the help you’ve been looking for. Let us make IT easy for your company today.